That’s BS, and I’m calling you out on it. There will be 24 hours in the day we call “today,” just like there will be 24 hours in tomorrow. Think back on the very best day of your career. It was 24 hours. Reflect on the most challenging, wasted, time-sucking day you’ve had in the past month. Ditto. 24 hours. 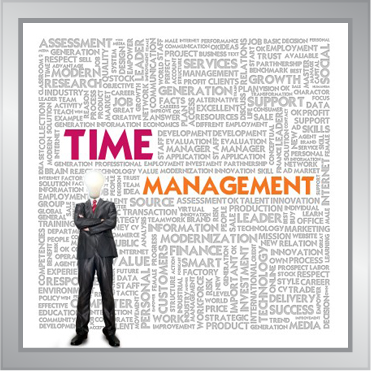 Prioritization is one of the most important functions of an account manager. It is predictable, after all: There will be more demands on your time tomorrow than there will be hours to satisfy all of those demands. You know that. And you have to decide—on the fly—which items deserve your devoted attention, and which items are simply distractions, trying to de-rail you from your perfectly focused plan. Go ahead and spend time on those issues that merit it, based on your personal well being and commission Return-on-Investment-of-Time. Each day starts with a fresh allocation of 24 hours (1,440 minutes). That you cannot change. What you can dictate is how much time you allocate to each priority (or not). The task of reading this article was worth about sixty seconds. Mike Anderson is VP / Consumer Insights and Communication at The Center for Sales Strategy. Never miss an Edge Blog! Subscribe and receive articles by email!